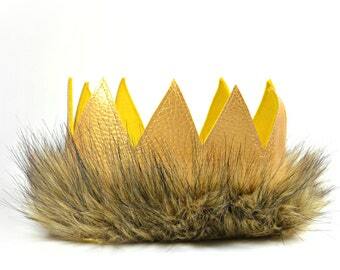 Full head GOLD faux leather crown lined in gold wool felt, with faux WOLF fur. 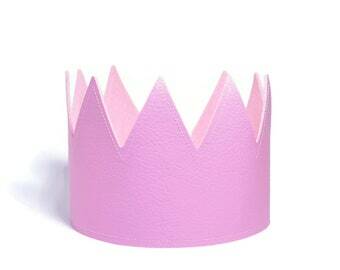 Crowns are sewn around the edges and have tie back elastic straps for a custom fit! Add on a TAIL! Tails are made out of the same fur as on the crown. 13" in length with a clip at the top to clip to your Childs pants, shirt or romper. A fun item to have for years of play!! 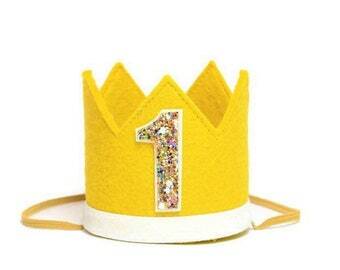 SMALL/NEWBORN: 9.5" wide x 2.75" tall - this crown will not fit around the head of a one year old - it fits only half way. 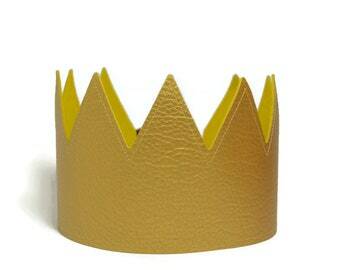 Check out the shop for more Max Crown styles. It shipped on time and came in perfect condition - however, after one use, it’s falling apart. The fur strip is super glued on rather than sewn. This item would have been perfect without this flaw. Quite disappointing. This buyer never contacted our shop. I would have been happy to work with her for a satisfied outcome!! I can't remember any review for our Wild One crown less than 5 star in 6 years!! The crown is meticuously sewn together - and the fur cannot be sewn on! It is hot glued on with 2 crafters inspecting the process! The fur cannot come off! It has to be pulled off. We sold out of this item on Nordstrom.com and had zero returns. 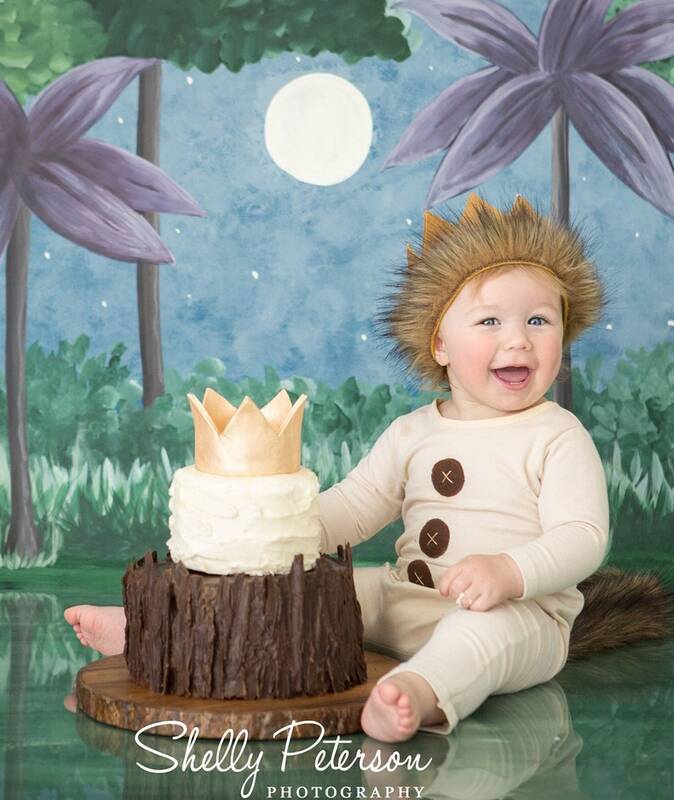 I have a customer that posts her son wearing this crown every year on his birthday for the past 4-5 years. It holds up amazing for years and years. Please order in confidence with Little Blue Olive!